Looking for a candy-free valentine for your kids? 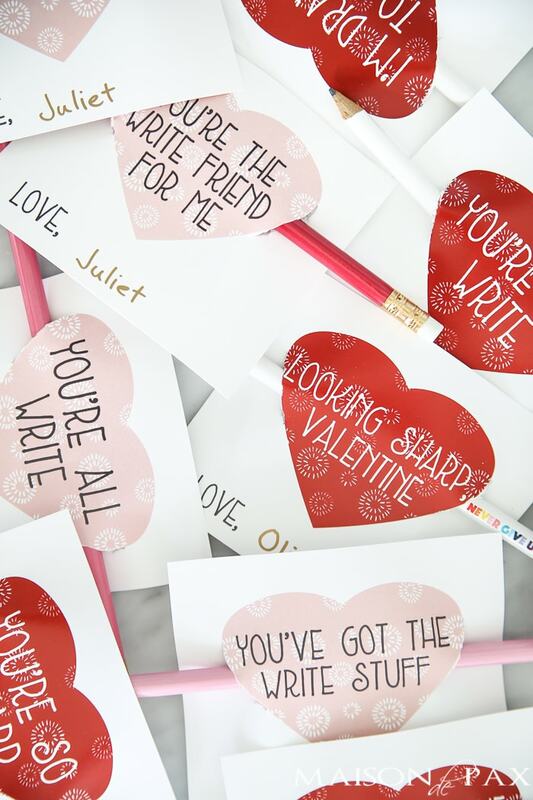 Try these adorable heart-shaped free printable valentines that fit right onto a pencil. Don’t get me wrong, I love a good sugar rush. Milky Ways, Three Musketeers, and Reese’s Peanut Butter Cups… Yum. But all in moderation, right? And since our pantry still has candy left from the fall’s candylicious holiday, I think a super cute candy-free Valentine option is a good one. So this year I thought I’d start with a group of cheesy witty sayings. 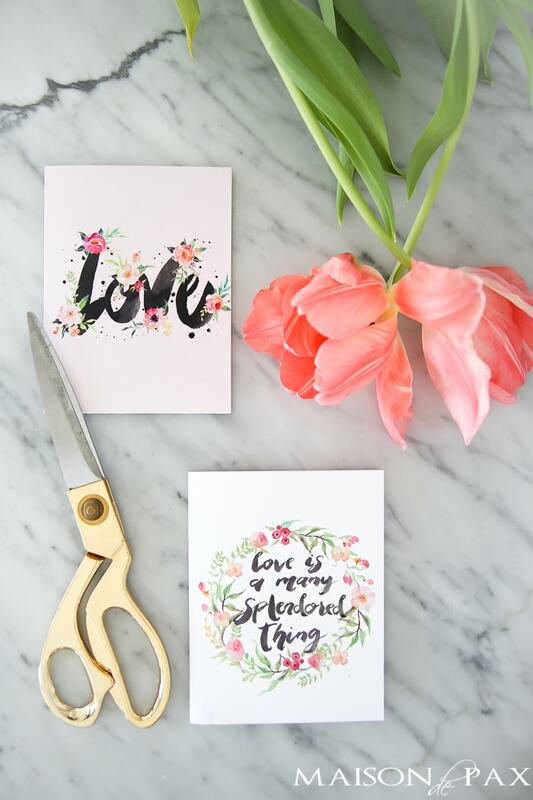 Each 8.5×11 page has six different sayings plus cutting lines to create six different little Valentines. Just cut them up and use the edge of your scissors or (better yet) a utility knife to cut two slices along the edge of the heart. I found all these pencils in packages of 10 for $1 at the Target Dollar Spot. Win! And I made two versions: pink for the girls and red for the boys. 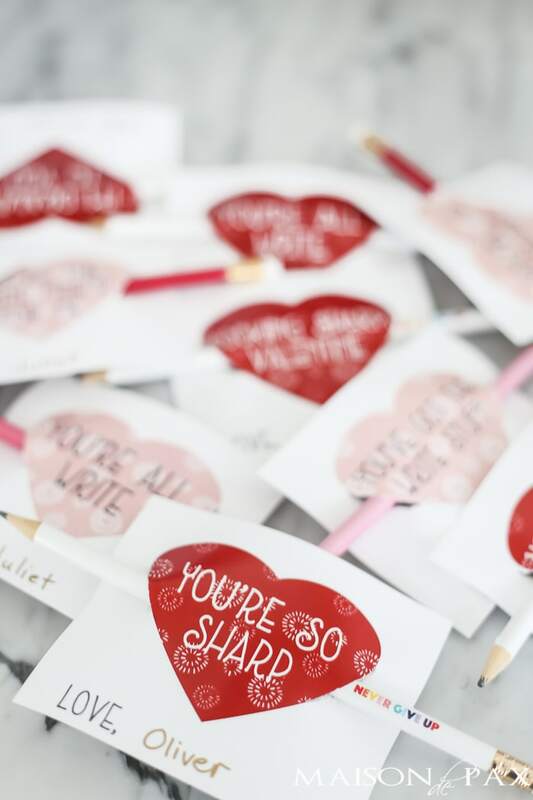 While you’re at it, you won’t want to miss the other free Valentines printables I shared last week. And I’ve got 10 more free Valentines printables being offered today. To access each one, visit the talented bloggers and designers linked below! 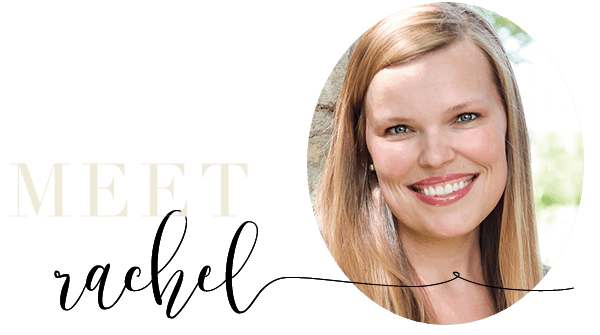 These are so cute, Rachel! I’m sure the kiddos will love them! Hope you’re having a wonderful week! I signed up for free printable and can’t get them! It just keeps asking me to sign up again and again. 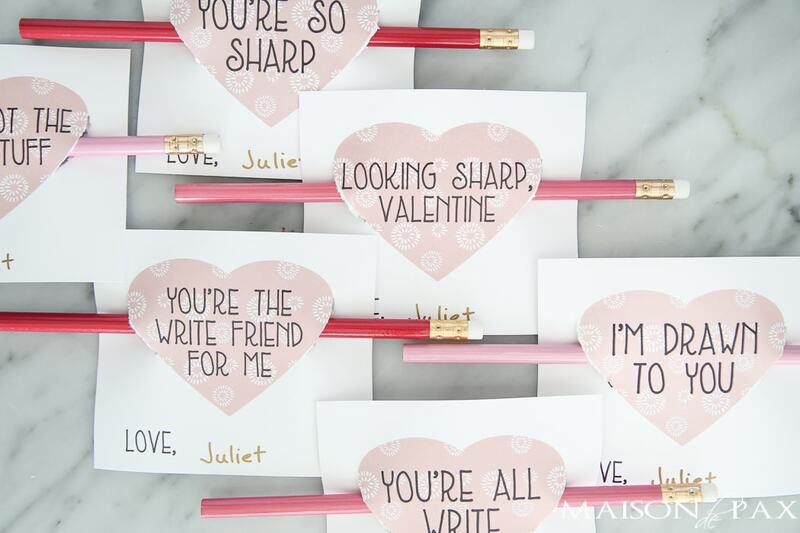 Your pencil valentines would be perfect for my little artists and writers. Hope you can help. I’ve sent you an email. Please let me know if it doesn’t solve the problem! I’m afraid I’m having the same issue. Would love to have these too! I am having trouble accessing them as well…HELP! Hi im also having the same problem getting the free printable. Unfortunately we cannot access the printables after signing up either??? Please help! Thanks so much! 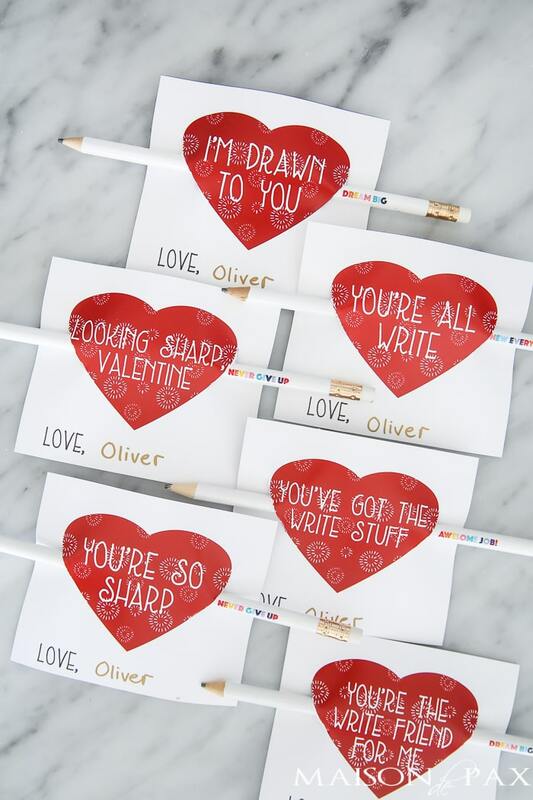 Please help – I can’t access the printable pencil valentines after signing up for the newsletter. Hi Lorri, I’m not finding your email in the subscription; can you tell me which email you signed up with? Thanks! Unfortunately I am unable to access these as well, is there a trick I’m missing? Hi Tayler! Have you subscribed to the freebie library at: https://www.maisondepax.com/free-printable-home-decor/ ? Subscribe and check your email to confirm, so you can get the password to the library. Let me know if that works!